England, 1936. The year began with the death of a beloved king and the ascension of a charismatic young monarch, sympathetic to the needs of the working class, glamorous and single. By year’s end, the world would be stunned as it witnessed that new leader give up his throne in the name of love, just as the unrest and violence that would result in a Second World War were becoming impossible to ignore. In pitch-perfect prose, Juliet Nicolson has captured an era in which duty and pleasure, tradition and novelty, and order and chaos all battled for supremacy in the hearts and minds of king and commoner alike. 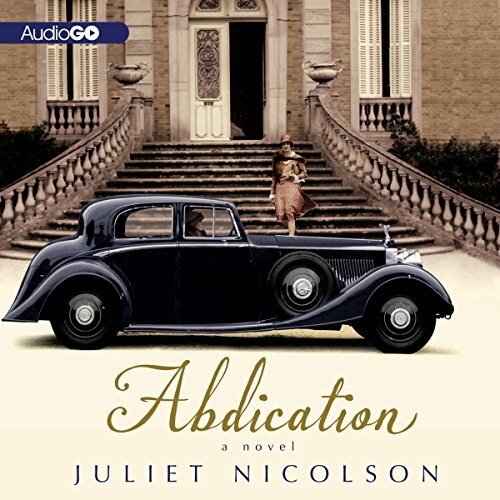 As addictive as Downton Abbey, Abdication is a breathtaking story inspired by a love affair that shook the world. If you are looking for another book with facts and details about Prince Edward and Wallis Simpson, you're not going to get them. This is a piece of fiction set during the time of the Abdication crisis. Wallis and Edward make some cameos, but it's hardly about them. It's a story about people know them peripherally and tells about the lives they are leading while all of the Edward/Wallis business is going on. "Abdication" si not a good title for this. That said, it was an enjoyable genre piece.